We look forward to providing you exceptional patient care with compassion. Dr. Lisa L. Buttaro, Dr. Lisa A. Sonntag, Dr. Gen B. Paek and their team place great emphasis on providing exceptional patient care with compassion. We are proud of our professional, skilled, and caring team. Our staff is well versed in the latest dental materials and technology to ensure your best care. We encourage our patients to ask questions, to have a complete understanding of their treatment, and to feel comfortable with the entire process. 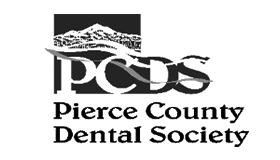 Our team mission is to provide uncompromising excellence delivered with a soothing, warm approach..
Dr. Lisa L. Buttaro, Dr. Lisa A. Sonntag, Dr. Gen B. Paek and their team at Fife Dental Center masterfully sow the seeds of professionalism and personalization to cultivate a compassionate and effective treatment experience. 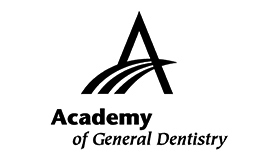 They skillfully deliver their expertise with a warmth and kindness rarely found in today’s turn-style dental care. At Fife Dental Center you’ll feel less like “just another patient”, and more like a member or our dental family. WE ARE PROUD TO BE RECOGNIZED BY THE FIFE, MILTON AND EDGEWOOD COMMUNITIES. Let our family take care of your family. Young or old, we will cater to your individual needs. And we go a step further to ensure children feel safe and calm all the while having fun – at the dentist! Dental phobia and anxiety is a common condition across the world. But the good news is there are painless, effective methods to alleviate your angst in the dentist chair.